Absolutely, in fact, we recommend it. After all, the funeral is a celebration of life. Funeral directors are happy to discuss all options and ensure your funeral is tailored to your wishes. It may be personalized in many unique ways. Contact us at (860) 225-6361 to explore the possibilities. We are available 24 hours a day, seven days a week. All you need to do is place a call to us at (860) 225-6361. If you request immediate assistance, one of our professionals will be there as fast as possible. If the family wishes to spend a short time with the deceased to say good bye, it's acceptable. Then they will come when your time is right. Don't forget, the sooner we are aware the death has occurred, the sooner we can start to facilitate your needs. Contact us immediately so we can assist you if a death occurs anywhere on the globe. Carlson Funeral Home has trusted contacts around the country to help wherever the death may occur. You may know a local funeral director there and we can facilitate their abilities to help us meet your needs. They will assume responsibility and coordinate the arrangements for the return of the deceased person to our community and act as our liaison/agent to assist us in meeting your needs. - Can I have a calling hours/visitation period and a funeral service if cremation is chosen? Funerals can cost can be less for a direct disposition. 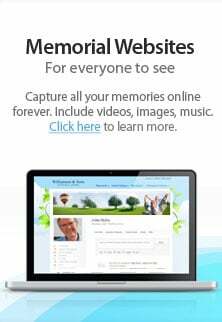 (Direct disposition includes registering the death, a basic casket or container, and transporting the deceased to a cemetery or crematorium) For an adult, full-service funeral, can differ greatly by how extravagant your merchandise selected is and how many services we provide. This includes all professional services, including transfer-of remains, embalming, and other preparation; use of viewing facilities and the facilities for the ceremony; hearse, limousine, and the purchase of a casket. Other than the family, there are veteran, union, and other organizational benefits to help pay for funerals. Most funeral directors are aware of the various benefits and know how to obtain them for the indigent. In most areas of the country, state or local laws do not require that you buy a container to surround the casket in the grave. However, many cemeteries require that you have such a container so that the ground will not sink. Either a grave liner or a burial vault will satisfy these requirements and most cemeteries in our area DO require it..